Geoff Stead is an international thought leader on new technologies and how to use them for learning, communication and collaboration. The head of innovation at Tribal Labs was one of the keynote speakers this year at mLearnCon. I had the pleasure of sitting down with Geoff and chatting about mLearning, innovation and the disruptive tendencies of mobile. Geoff shares his insights on how mobile learning conferences in the UK are different than in the U.S. and why mLearning needs to be different than eLearning. 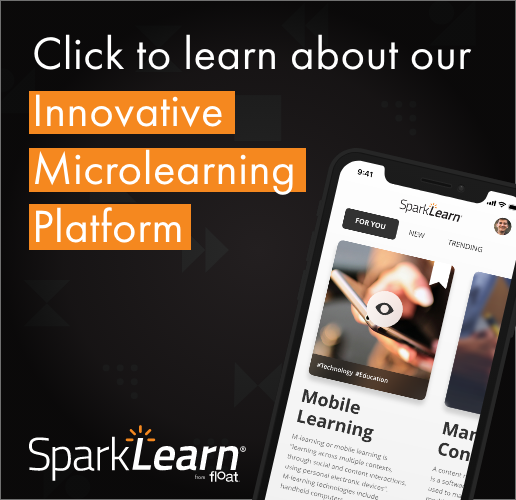 MLearning is part of the new spectrum of tools we have today to reach learners. We should not replace our eLearning or convert it all over to mLearning. Geoff and I discuss how ADL is innovating with the Tin Can API and how it is up to the community to figure out how to take advantage of it. It will be interesting to see how the companies that build tools will respond to Tin Can. We also talk about our responsibility as developers of content to build content or objects that will perform on any device. Many in the Web development world are saying to build for mobile first. We as learning professionals should should think in similar way. Take a look at my full, exclusive conversation with Geoff below. Thanks for a fun interview, Jeff. I enjoyed meeting you face to face at last.